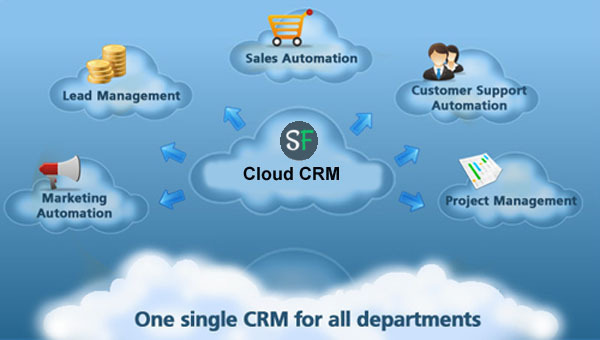 Why Cloud-based CRM is great for the needs of small enterprises? We offer a flexible Cloud software that is able to grow with you as your business grows, and that the solution is tailored to your needs in terms of functionality. Because a small business, typically, doesn’t own its own servers, hardware, or IT personnel; does not dispose of free large sums of money for first installment; has a very specific business profile and tailored sales processes; and, the work is not only done in the office or on the “9 till 5” basis. So, if you are one of those 72 % of small business owners who think that investing in modern technology, such as CRM, is going to result in a bigger Return on Investment (ROI) and help you grow your business, and if you should steer through these unknown CRM waters you will find that cloud based Salesfundaa CRM software fits you best. Do you want to find out how it can impact your business? · Everything You Need in a CRM to Grow Your Business without The Work!